The solar market is on the verge of exponential growth, and one ASX listed company is looking to be at the forefront of this change with a world leading technology that could have a fundamental effect on energy usage. Dyesol Limited (ASX: DYE), is a manufacturer of key perovskite solar cell (PSC) materials, next generation technology and photovoltaic (PV) panels. It partners with leading multinational manufacturers that possess strong brands and established routes to market that are seeking to embed PSC technology into their products. The growing recognition for DYE’s technology is due in part to the success of its current relationships, most notably with the CSIRO, with which it has a long term partnership and with whom it recently signed a Letter of Intent (LOI) to collaborate further in the field of PSC . 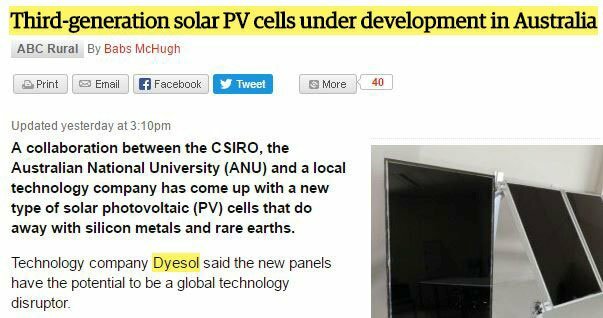 The CSIRO is in fact DYE’s fourth largest shareholder, which puts it in an ideal position to explore opportunities to improve and enhance technology as it plans and executes the launch of its Perovskite Solar Cell PV products for commercialisation. At the same time, it is still relatively early stages in this company’s development, so if considering DYE for your portfolio invest with caution and seek professional financial advice. 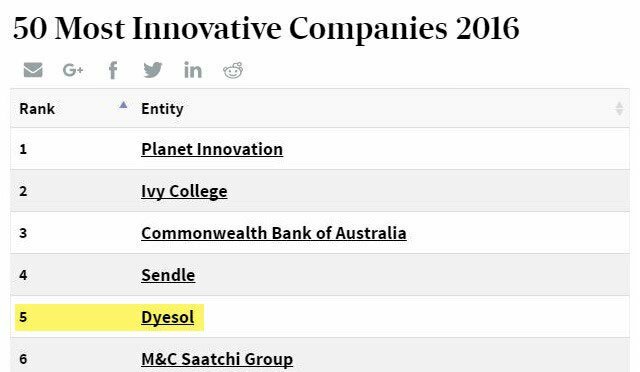 This PSC technology was recently recognised by the Australian Financial Review as DYE rounded out the top five in the AFR’s Top Innovative companies for 2016. So it is gaining some serious clout and publicity as it moves to full commercialisation in just over a year’s time. This will be the perfect time to launch its products, if taking into account the clean energy source movement. DYE is banking on its third generation solar technology, which will be produced with efficiency, pricing and life of product in mind, taking a leading role in this rising alternative energy uptake. 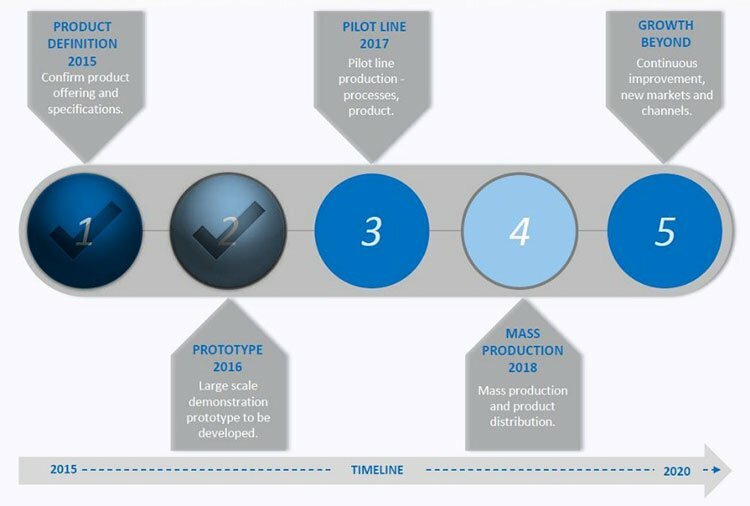 Leading DYE’s difference will be its mini-Major Area Demonstration (MAD) solar panel technology, which is a tiny and very user-friendly 450 x 650mm in size, and which by mid-2017 will go into production as a larger MAD prototype measuring 600 x 1200mm in size, which is a comparable size as the solar panels available on the market today. 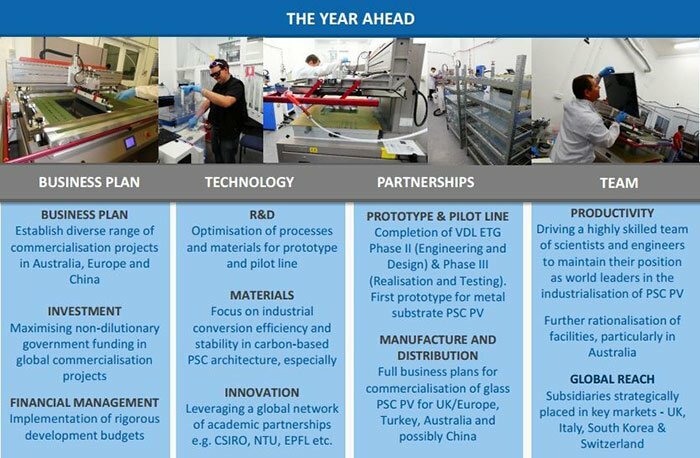 With its technology in place and market sentiment having shifted towards cleaner fuels, 2017 will be the year DYE establishes a diverse range of commercialisation projects across Australia, Europe and China, further focuses on its innovation and extends its reach with subsidiaries strategically placed in the UK, Italy, South Korea and Switzerland. 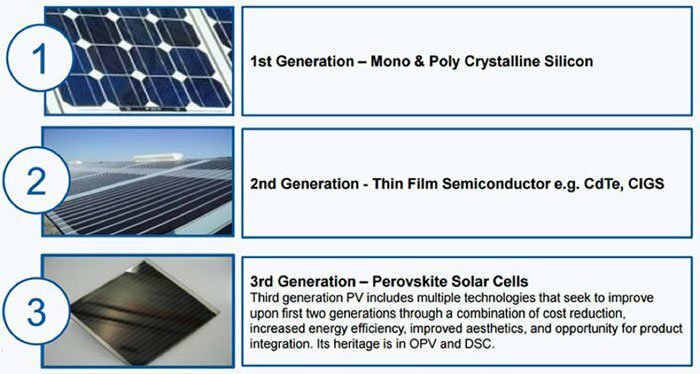 Dyesol Limited (ASX:DYE) has made significant progress in 2016 on its path to production, not least because its perovskite (PSC) technology has a strong competitive advantage in low light conditions relative to incumbent PV technologies. DYE’s PSC technology can be directly integrated into the building envelope to achieve highly competitive building integrated photovoltaics (BIPV). You can get the full story about DYE in our previous coverage . We have been covering the company since October 2015 and have watched it move steadily towards proving up and commercialising its technology, whilst building up important technological and commercial partners. Interestingly, Tesla has just launched a solar roofing tile prototype, which, going by many of Tesla’s exploits, should bring greater recognition to the overall pursuit of ground-breaking solar technologies. The good news for DYE investors is that the company is quietly confident that its technology can go head to head with Tesla on a LCOE (Levelised Cost of Electricity) basis – a measure of a power source which attempts to compare different methods of electricity generation on a comparable basis – especially as Tesla is yet to release actual performance figures. Something which DYE is capable of doing as it grows more and more confident that it can beat its much more famous peer. Taking a look at the technology, it’s easy to see why many in the industry are enthusiastic about where it is headed, particularly when you take into account Tesla’s news and a recent article by Professor Liyuan Han of the Japanese Institute of Material Science that opined that PSC technology could produce electricity as low as 3.5 to 4.9 US cents/kWh – figures significantly lower than in DYE’s conservative ARENA funded study. The 2016 World Economic Forum ranks Perovskite Solar Cells in its top 10 emerging global technologies . Perovskite technology moves away from silicon and rare earth metals, instead using perovskite material, with which DYE is leading the way in R&D having just launched the mini-Major Area Demonstration (miniMAD) project. This is a significant development, with DYE producing a 45 x 65 cm miniMAD prototype, the pen-ultimate development step prior to the development of a full-scale prototype known as MAD, which DYE will develop with the assistance of VDL Enabling Technology Group, one of the most advanced manufacturing process and engineering companies in the world. Once complete, MAD will be available for a multitude of pre-commercialisation activities, including showcasing, demonstration, testing and accreditation. 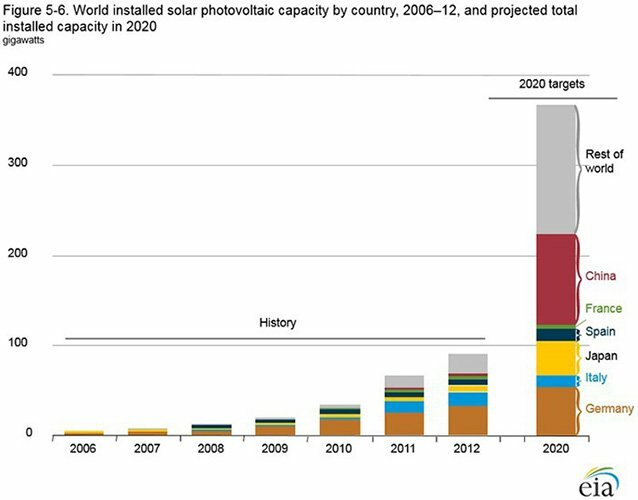 Essentially, third generation solar is well and truly under development in Australia with commercialisation just around the corner. Not only can this third-generation perovskite technology be used in solar panels, but also in building materials. The technology being developed by DYE can be used on roofing materials, windows and facades. As the World Economic Forum states, silicon technologies face three major limitations, which perovskite technology solves. Silicon, which is needed in its pure elemental form is rare and to convert the abundant silicon dioxide (beach sand) into a usable material requires massive energy output melting the material at 1500-2000 degrees Celsius. Silicon is also required to be held in heavy and rigid panels, whereas perovskite is a lightweight film which can be applied to varying surfaces. The third restriction with conventional solar cells is that they have had their power conversion efficiency stuck at 25% for 15 years, signalling that the technology may have peaked. Perovskite on the other hand is tipped to be above 30% efficiency in the next three years. DYE’s main competitor in the perovskite space is an Oxford University spinout by the name of Oxford Photovoltaics. The Oxford team is testing similar technology, however is yet to come up with a prototype. In the meantime, DYE is charging ahead with their plans to be in commercial production by 2018. However there is still much ground to cover and anything can happen in this time. Investors should take a cautious approach to their investment decision in this stock. DYE’s technology is accredited to the current international standard IEC61646, which conducts temperature tests at 85 degrees Celsius for over a 1000 hour period, in which solar cells cannot degrade in performance by any more than 10%. On the other hand, competing organic photovoltaics degrade under sustained sun exposure and are currently not economical to commercialise at this point, placing DYE’s technology at the forefront of this new technology horizon and which is why major partners have been keen to partner with the company. A Letter of Intent (LOI) has been signed between DYE and the Commonwealth Scientific and Industrial Research Organisation (CSIRO) – which is, interestingly, DYE’s fourth largest individual shareholder – to collaborate in the field of Perovskite Solar Cells (PSC). This latest agreement to work towards a framework of collaboration, cooperation and coordination is viewed as a positive in terms of an endorsement of DYE’s technology, as well as providing the potential to improve upon and fast track its development. – ARENA: The Australian Renewable Energy Agency has provided support to 102 projects, with the government agency having provided $598.7M in funds to date. – Department of Industry, Innovation and Science: this government department also offers business grants for which DYE can apply. 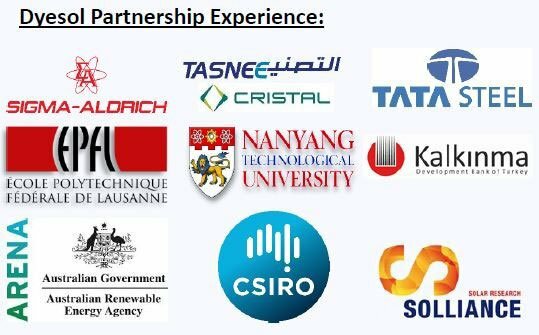 By having an established relationship with CSIRO, the company could be well placed to receive funds to advance the innovative solar technology. DYE has already received an ARENA measure for $450,000, considered a stepping stone for further government financial support. Additional funds raised through these two government platforms, should they materialise, will be welcomed by DYE and its shareholders as it will help drive the company closer to production without diluting the share register. Plus, DYE has already received $3.833M as an R&D tax rebate for financial year 2016. Meanwhile, governments around the world are also investing heavily into clean technologies to reduce our impact on the environment. The EU is putting in €2BN (A$2.84BN) for research into energy storage, electrified transport, nearly-zero energy buildings and integrating renewables, to be invested between 2018-20 under the Horizon 2020 programme . This funding is up 35% from the 2014-15 levels. DYE UK is part of the Horizon 2020 platform and will be eligible to request access to a portion of the funds. It will be commencing the €4 million EU funded GOT Solar project in 2017 which is focused on the commercialisation of its steel substrate products which it is developing in Manchester, UK and at Solliance in The Netherlands. The funding program will come online around the time DYE is planning to be in its final stages of pre-production, potentially placing the company in a strong position to help the EU meet its energy goals. Should DYE receive additional funding from the EU the money could be used to more rapidly bring its technology to market or enhance it through further R&D programs. VDL is a world class international manufacture company equipped to scale operations should DYE’s MAD product commercialise. Not only did VDL help produce DYE’s miniMAD, the company also produces Minis for BMW and parts that go into space for NASA, to name a few of the many industries VDL services. VDL, which has been in operation for over 100 years, came about as a spin out from global technology giant Philips. Essentially, DYE is partnering with a market leader in mass production to help ensure commercial success once MAD makes it to market. DYE partnered with VDL Groep to help produce the miniMAD, and will aim to be producing a MAD prototype by mid-2017, followed by full scale production in 2018. Having VDL as a production partner further validates the focus on the path to production and commercial success. This strong industrial partnership should resonate well with government support and interest globally. In the eyes of the average punter, the solar revolution has been fast tracked thanks largely to Elon Musk’s Tesla and its energy revolution. It could gain further recognition after the recent marketing stunt involving Tesla and Solar Roof. The world was given its first glimpse of the future, powered by solar energy, with Tesla claiming that its solar roof would cost less than a regular roof, even before energy production. What you may not be aware of is that Tesla is using inferior silicon technology for its solar roofing projects, whereas DYE use the superior PV technology. And DYE are up for the fight and as we stated earlier, ready to go head to head. The next-gen PSC materials produced by DYE are projected to have a levelised cost of electricity (LCOE) as low as US 3.5-4.9 cents. This is remarkably low and efficient, compared to inferior technology coming to market which is anywhere from US 5 cents and higher. Until Tesla clarifies and substantiates its claims, there is a strong suspicion amongst analysts that its proposed product will not come anywhere near market projections. Should the LCOE be applicable to the larger MAD device to be produced in 2017, DYE would certainly gain further attention in the industry and possibly see large technology companies seek to form commercial partnerships. Compared to the thick and heavy 1 st generation silicon technology used by the likes of Solar Roof, the material used in DYE’s technology is only 450 nanometers wide and extremely light, yet able to withstand high temperatures for over 1,000 hours straight without losing even 10% efficiency. Furthermore, inferior silicon technology requires direct sunlight to be effective whereas DYE’s technology is able to produce electricity at low light levels and without needing direct sunlight -making it a far more applicable technology to existing structures that have not been optimised for sun collection. Further than just the PV technology, DYE has filed a patent for hermetically sealed devices. An important step on the road to mass production, as the technology attracts moisture. Towards the end of 2016, DYE’s Managing Director Richard Caldwell, picked up further DYE shares as has been his trend throughout the year. It’s a positive sign for DYE and its shareholders, as the man steering the ship is putting his money where his mouth is and signalling to the market that he sees a bright future for DYE. There’s a lot on the horizon for 2017 including further R&D, production, global expansion and innovation. Should it tick all its boxes, DYE will be on track to mass produce and distribute its MAD solar panels in 2018. However we should reiterate that this company is on the cutting edge of technology, and is a speculative investment. Before making an investment in this company, do your own research, consider your own personal circumstances, and seek professional financial advice. However, DYE currently maintains a steady cash burn rate of approximately $6-7 million (inclusive of the substantial ATO R&D rebate claim) per year, which could increase on requirements to drive DYE through to production or expand upon R&D programs. The perovskite technology used by DYE is considered by the World Economic Forum to be game changing. And along with the AFR naming DYE in the top 5 Australian innovative companies of 2016, the suns appear to be aligning for DYE as its timeline towards production continues to shorten. Should the milestones continue to be ticked off and public understanding of what solar power can offer continues to grow, we would expect investors to seek ways in which to can gain exposure to the solar market and potentially find their way to DYE. Did DYE’s Solar Tech just become Cheaper than Coal?